The number 22 will never mean the same to you. | Newsletter: Fundraising for Samburu. About two months ago I went to a beautiful home in Beverly Hills to support a friend of mine’s Kukka Jewelry trunk show. I had other business plans that day and considered not attending the event, but friends have always been a huge part of my life so I decided to show up. As they say, “Amazing things happen when you least expect” and that morning I ended up meeting Linda, who, for the same reasons that I had, also shouldn’t have been there! Linda is the Executive Director of The Samburu Project, a non-profit organization whose mission is to provide access to clean water and continue to support well communities with initiatives that promote health, education, women’s empowerment and general well-being. Their focus is in Samburu, a community that lives about 250 miles north of Nairobi, Kenya. Africa has always had a very special place in my heart, and as soon as I heard about Samburu, I felt butterflies in my stomach (that’s my “Go” sign!) and the need to connect with Linda to learn more. I’m constantly alert to projects where I can be of assistance to people who are less fortunate, and The Samburu Project made perfect sense to me. Why? The fact that I can open my faucet at any time and drink all the clean water I want while others can’t, really breaks my heart (633 million people lack access to safe water). 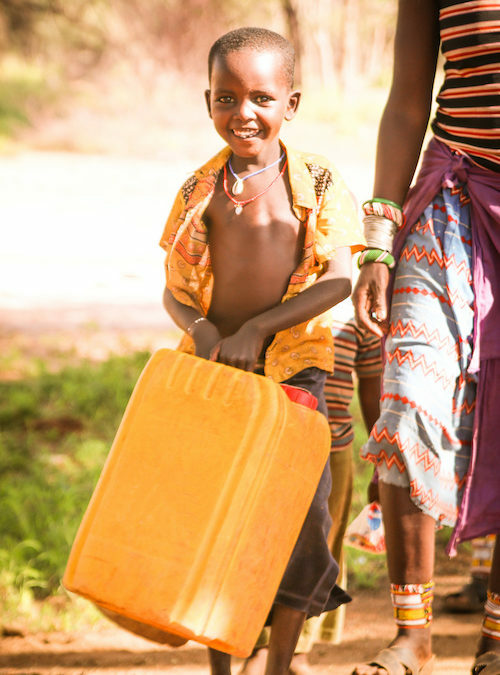 Samburu women and girls walk up to 12 miles every day looking for water. And often return home to their children with an empty jerry can. If they are lucky enough to find water, it is most likely unclean, originating from gaping, hand-dug wells contaminated by wildlife and livestock. When I later learned how easy it was to help the Samburu community, I couldn’t turn my back. $22 is all it takes! Believe it or not, in Samburu that amount can provide a person with water for life. YOU can make a difference on April 14. Linda and I met for lunch a few days later and we brainstormed on ways that I could support the organization through my business. She told me about The Samburu Project Walk for Water, and this is where it gets super fun! 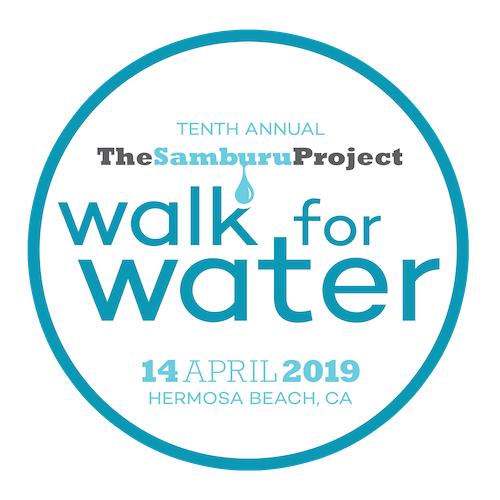 The Samburu Project Walk for Water began as an annual fundraising event to grow awareness of the worldwide water crisis in the small town of Hermosa Beach. 10 years ago and over 100 wells later, what started as a small California beach walk has evolved into a national movement. 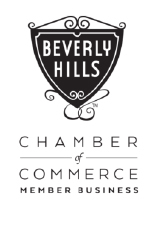 Will you join us at Hermosa Beach on April 14th? If you happen to be in the LA area that day, let’s get together and show what we’re capable of. Trust me, by changing someone’s life, you’ll be changing your own. It’s the magic formula to giving. Check The Samburu Project to register for the walk or to support in any other way that makes sense to you in case you can’t make it. From very deep down in my heart, I want to thank you for anything you may end up doing for the Samburu people. Go to the site, look at the photos and tell me you’re not falling in love with them too! Have a terrific month of April!